While Roo Paul enjoys being King of the Snow Pile, he thinks it is really time for it to stop snowing in Fairbanks! 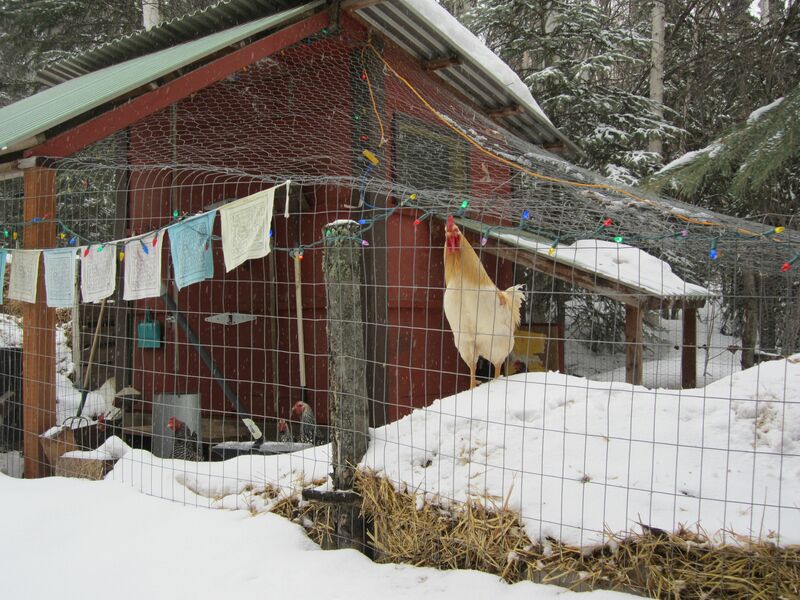 As a 4-H agent with the University of Alaska Fairbanks Cooperative Extension Service, I offer workshops and information about raising and keeping small backyard flocks in Alaska. These services are designed for the hobbyist that keeps primarily laying chickens for home use of eggs and, secondarily, meat. This entry was posted in Roosters, Winter and tagged Fairbanks, seasons, snow, winter, winter chickens. Bookmark the permalink.